First was Don Shaw’s The Falklands Factor, for the BBC’s Play for Today, which was screened in April 1983, less than a year after the war’s end.1 Shaw dramatised a previous cold war for the Falklands from 1770-71 to illuminate the history of the conflict and draw parallels with the recent war. The play strongly hints at the role of political expediency in each response to a Falklands invasion and, by showing how diplomacy – narrowly – averted bloodshed, questioned whether the same could not have been achieved in 1982. The use of picture book-style animation to depict events around the islands and an omniscient narrator, making clear the now-and-then parallels, prevented the play becoming simply a dull spectacle of middle aged men in period dress arguing. It also benefited from the highly watchable presences of John Bird as scheming Prime Minister Lord North and Donald Pleasence as the distant and distracted Dr Johnson, who helped subdue the public’s lust for war over the Falklands. Screened on BBC2 less than three months later, in July 1983, Maggie Wadey’s The Waiting War dramatised the conflict via the experiences of three navy wives in Portsmouth whose husbands were aboard HMS Sheffield. It was shot in Portsmouth itself and based on Wadey’s interviews with the families of Task Force sailors in the town. The drama charted their experiences from the Sheffield being redirected to the South Atlantic, to media reports of the ship’s sinking and their frantic efforts to get news from the impenetrable official channels. The Waiting War highlighted the anxieties of service families, the way in which television and radio bulletins become sources of fear in the absence of official news, and their hopeless task dealing with Ministry of Defence bureaucracy. It also indicated the ignorance of many about the objective over which their loved ones were fighting, with one character asking: “Where are the bloody Falklands anyway?”, a question many may again be asking as the latest diplomatic row over the islands rumbles on during the war’s thirtieth anniversary. By all accounts, The Waiting War was a success. Television critic Peter Fiddick praised the “taut, economical play” for maintaining “a delicate balance in keeping such potentially sensational material at the same time angry and decent.”3 He also noted the “strong performances” of the cast. Peter Ackroyd was equally impressed, calling it a “powerful drama” and finding it “successful enough that, in parts, it was too painful to watch.”4 It was one of very few Falklands themed television dramas not to provoke controversy. ITV’s only Falklands drama was also the only one for the children’s audience, being made as part of Thames Television’s schools series Middle English. Screened in September and October 1983, Jan Needle’s three-part A Game of Soldiers depicted how children encountering the real world consequences of the battles they played at could themselves get caught up in the ‘fog of war’. A trio of children on the Falklands find a wounded young Argentinean conscript hiding in a sheep shelter. He is scared to surrender himself to the British army because propaganda has convinced him he would be shot. The children, meanwhile, are afraid to tell their parents as one of them had overheard them discussing an incident in which local ‘hothead’ farmers had killed lost Argentinean conscripts. The impasse is unresolved and the drama ends in tragedy. The producer, Peter Tabern, responded that there was no allegation that Falklands farmers had killed Argentinean conscripts and that the drama was based on evidence that the local Falklands defence force had resisted actively during the occupation, with the rest being “invention”.6 The storyline had been chosen to help teachers prompt classroom discussion about the nature of rumours in war. However, this was not reflected in the already contentious classroom literature which accompanied the series. The MoD queried the programme’s suitability for children with the Independent Broadcasting Authority and, bowing to pressure, Thames Television’s managing director Bryan Cowgill had a voiceover added to the series to confirm the fictional nature of the storyline. A Game of Soldiers was described as “a vivid, moving and recommendably stimulating work” by The Guardian, where it was also reported to have been dubbed within the television industry “Famous Five Go Mad in The Falklands”.7 It went on to be nominated for a BAFTA award in the best children’s programme: documentary/educational category, in which context the reference to documentary was perhaps unfortunate. The next Falklands drama was as much a stage phenomenon as a television one. In mid-1983 the Royal Court theatre staged the two-part show Falkland Sound/Voces de Malvinas. The first half was a dramatisation of the letters home of naval officer Lt David Tinker, who served – and was killed – in the Falklands war. The letters between Tinker and his father illustrated how his experiences influenced him to feel that the conflict was Britain’s most pointless war. When the production toured Britain it was ‘banned’ from Plymouth, a navy city from which many of the Task Force personnel hailed, “to spare the feelings of bereaved families.”8 It was ultimately staged in Plymouth, thanks to an alternative theatre, towards the end of the year. This production was filmed for the BBC2 arts series Open Space and transmitted in February 1984 under the revised title Falkland Sound to Plymouth Sound with the inclusion of responses from the local audience. The following year saw Ewart Alexander’s BBC1 drama The Mimosa Boys, based on the diaries and letters of Tim Rees, the unit photographer with 1st Battalion, Welsh Guards. The play covered the journey of the Welsh Guards battalion to the Falklands on the QE2 and their subsequent losses aboard the HMS Sir Galahad when it was attacked at Bluff Cove. The play focused on four Guardsmen, and the families at home in Wales, concentrating primarily on the soldiers’ transit to the Falklands, with the action packed into the last ten minutes. Alexander drew his title from history; the Mimosa was the ship which, in 1865, carried Welsh emigrants to Argentina, where they settled. With this ironic title, the Bluff Cove carnage as the play’s inevitable climax and dialogue such as a farmer referring to the “bloody Union Jack”, the drama took an anti-war stance. Generally, television critics found it an unnecessary dramatisation of a episode in the conflict already well covered by recent documentaries, in particular Simon’s War, about the Welsh Guardsman Simon Weston who was grievously wounded in the Bluff Cove attack. Perhaps the biggest controversy was over Ian Curteis’ The Falklands Play, an epic drama documentary for the BBC covering the political and diplomatic processes in London, Buenos Ares and at the United Nations before and after the Argentinean invasion. Although commissioned in 1983, Curteis deferred the project to allow institutional sensitivities about the war, which were impeding his research, to pass. He progressed with the play in 1985 and it was scheduled to be screened on the conflict’s fifth anniversary in 1987. 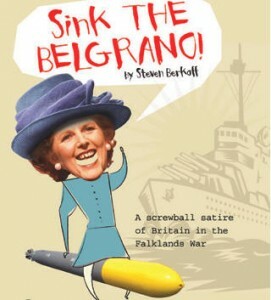 The Falklands Play hit the headlines when its production was suddenly postponed at a late stage in 1986. The script showed Prime Minister Margaret Thatcher in a positive light, making all efforts to avoid war, weeping over reports of casualties and personally writing condolence letters to the bereaved. Curteis alleged the postponement followed an instruction, which he had refused, from Peter Goodchild, the BBC’s Head of Plays, to show Thatcher and her cabinet less sympathetically, and acting on more pragmatically political and self-serving motives. This action, he claimed, represented left-wing bias at the BBC. The BBC denied Curteis’s allegations but their statements were contradictory, with the quality of the script being cited as the reason for postponement, then that it would be irresponsible for them to produce The Falklands Play, which depicted the current Prime Minister and Government, in the run-up to (another) looming general election. The story ran and ran in the press along with various allied allegations of BBC left-wing partiality. Inevitably, the postponement became cancellation. Eventually, a greatly reduced version of the script, removing entirely the Argentinean scenes (which had depicted the Junta as drunken gangsters), was produced simultaneously for BBC television and radio to mark the war’s 20th anniversary in 2002. With so much already written about it (and the full script published), the low budget production could never have lived up to expectations. The script had not aged well, with the contemporary relevance of much of it (such as the US/UK relations angle) and topical jokes (sensitivity to references to Suez – a previous British campaign about which Curteis had written a similar drama documentary – and the changing names of ex-British colonial territories) having lost their significance in the intervening years. Even so, there was interest to be found in Curteis’s depictions of cabinet meetings and dramatisations of heated Commons exchanges. Patricia Hodge was magnetic as the unstoppable force of Margaret Thatcher when confronted with any obstacle, but also made her humane and anxious. Further uproar was caused by the next big Falklands drama, 1988’s Tumbledown. Charles Wood’s play dramatised the experience of Lt Robert Lawrence, who had won the Military Cross for his part in the assault on Mount Tumbledown, where he was shot in the head by a sniper, leaving him alive but disabled. Mixing scenes from before, during and after the war, the drama depicts Lawrence’s transformation from eager, courageous and professional young officer to bitter and angry veteran. Played by Colin Firth, Lawrence was by turns boyish, charming and insufferably arrogant. Tumbledown showed the grim realities of battle, with gory scenes of close-quarters combat (at one point Lawrence repeatedly bayonets a pleading Argentinean soldier in the face) and emergency surgery patching up Lawrence’s brain. Yet, perhaps importantly, although they appear briefly in the battle scenes, it is not the Argentineans who are Lawrence’s enemy (he points out that the sniper was only doing his job), but the military and civilian authorities who, as he perceived it, neglected and abused him following his injury. The drama shows him patronised and talked down to by nurses and medical orderlies, bullied and humiliated by physiotherapists and kept from view at a service of remembrance. In a bid to have the scheduled broadcast cancelled, legal action was launched close to transmission by another veteran of the war, who perceived himself as the basis of one character briefly encountered by Lawrence in the drama (presumably having read the script which Wood had published the previous year). This was settled at the last minute with the removal of twelve seconds of dialogue “on compassionate grounds”.14 The press reaction to the drama was rabid, with accusations of bias, inaccuracy and morbidity. Complaints also arose from many of those who saw themselves or their professions maligned in the drama. Thanks in part to the publicity storm, Tumbledown reached an audience estimated in excess of 10 million. It went on to win six major awards, including the BAFTA for best single drama, and was nominated for many others. Although not straight drama, mention should be made of the only outright dramatic comedy about the conflict. The two-part South Atlantic Raiders was a characteristically anarchic comedy inspired by the Argentinean invasion from Channel 4’s occasional series The Comic Strip Presents…, seen in 1990. The same year the BBC had screened a television version of Nick Perry’s 1982-set stage play Arrivederci Millwall, in which the nationalistic fervour around the Falklands campaign boosted the violent xenophobia of a gang of British football hooligans. 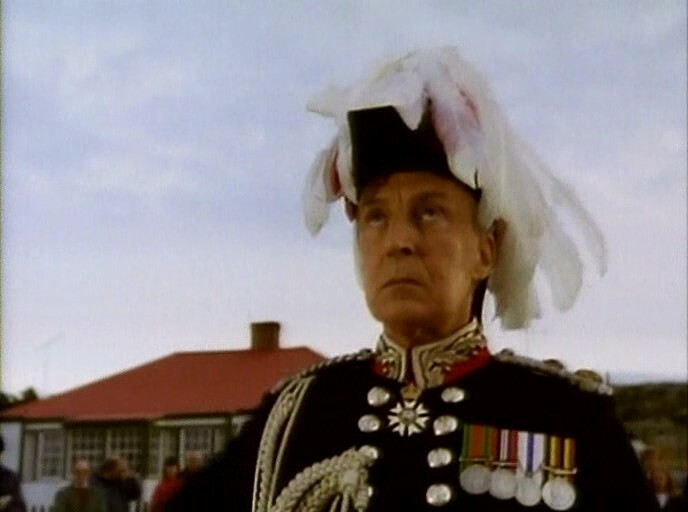 The final big Falklands drama was writer/director Stuart Urban’s An Ungentlemanly Act which, for the conflict’s tenth anniversary in 1992, dramatised the Argentinean invasion of the Falklands and the British defence and ultimate surrender. Keen to keep the anniversary low-key, the Foreign Office and MoD refused any co-operation with the production, which led to a cameraman being arrested for surreptitiously filming an RAF Hercules for use in the programme. Urban was able to film on the Falkland Islands themselves and recreate scenes around the real Government House and other locations in Stanley, lending an impressive verisimilitude to his recreations. The finished production was excellent, being both informative and highly entertaining. It boasted superb performances from Ian Richardson as the Islands’ governor, Rex Hunt, Rosemary Leach as his wife Mavis, and Bob Peck as Major Norman, the Royal Marines commander who led the defence of the islands. Urban drew a welcome vein of humour from the absurdities of both island life and the invasion itself. Aside from some concern about Urban having possibly exaggerated Mavis Hunt’s drinking, An Ungentlemanly Act was well received. Richardson was nominated for two awards for his performance and the drama won the 1993 BAFTA best single drama award. Sometime later, however, the real Rex Hunt complained of some inaccuracies in its depiction of his actions, but these were minor quibbles only. There have been no further dramas on British television dealing specifically with the Falklands war. The makers of war drama have moved on to Britain’s more recent involvements in the Balkans and the Middle East over the last few decades. 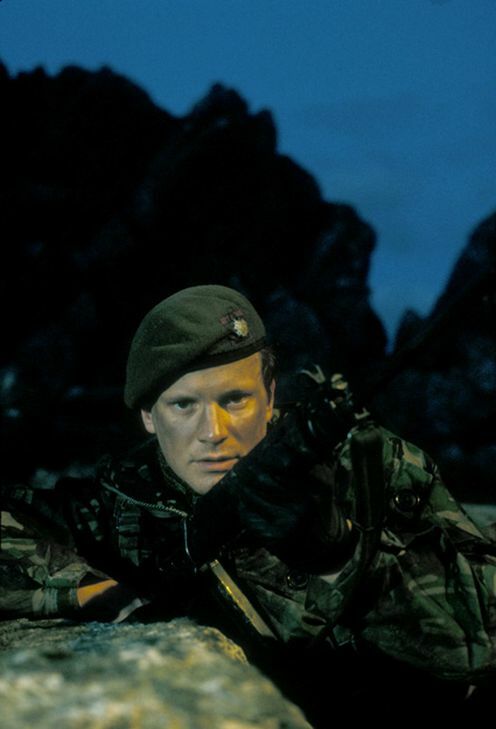 However, the Falklands conflict has provided a backdrop for a number of storylines from drama series and serials in recent years, as it had for The Queen’s Arms, for example Ashes to Ashes in 2009, Waking the Dead in 2011, and most recently an episode of BBC2’s White Heat in April 2012.15 It seems that this brief but fierce war remains dramatically useful as a symbol of Britain’s changing status as an ex-imperial power and, in this age of coalitions, its last days as a nation able to act independently as a military force far from home. Originally posted: 2 April 2012. 20 May 2012: Minor revisions.